I'm trying to share my athlete's profile with my doctor. How do I find their SportGait ID? I’m trying to share my athlete’s profile with my doctor. How do I find their SportGait ID? 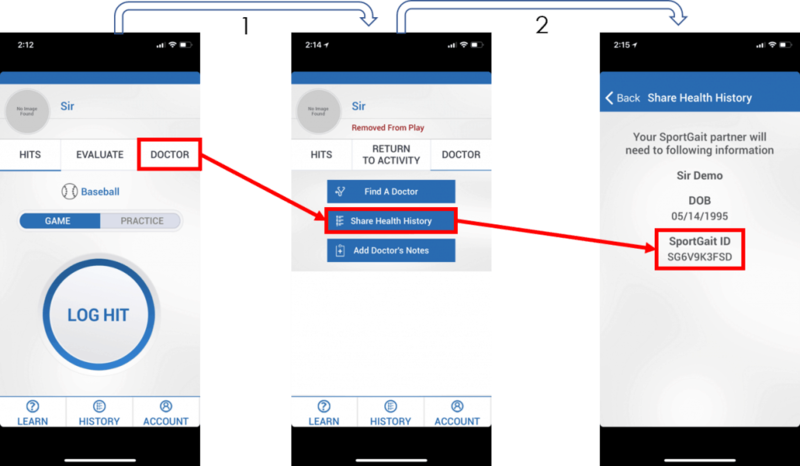 When you see a SportGait-enabled medical provider you will want to share your SportGait ID with them so that they can access your information and health history. 1. Select the “Doctor” tab. 2. Select “Share Health History”. The SportGait ID will be listed in the middle of the page.